Blend together all of your ingredients in the Vitamix or high powered blender and enjoy. (If using the Vitamix, your tamper will make the blending easier). Instructions: Blend together all of your ingredients in the Vitamix or high powered blender and enjoy. 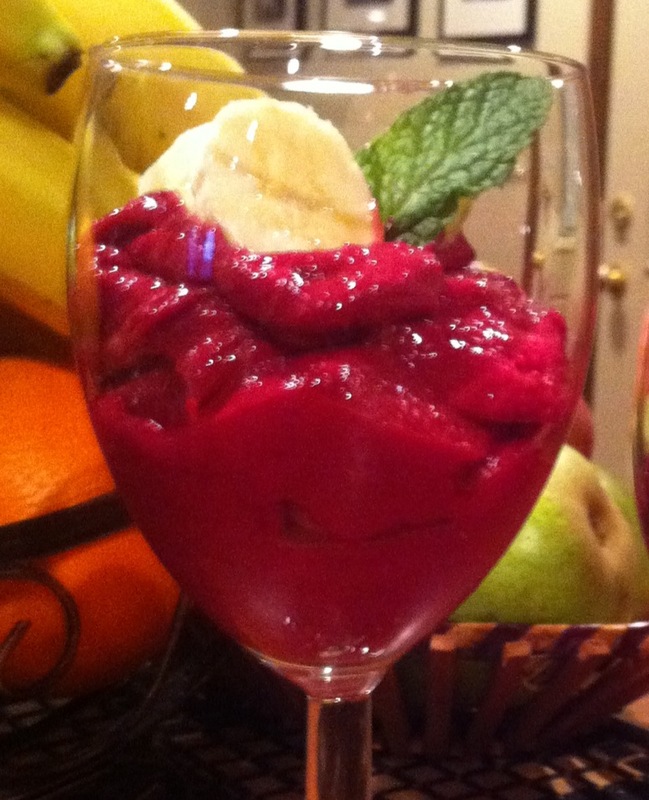 This entry was posted on May 7, 2015 by thrivecoach12 in Desserts/Snacks and tagged Beet Recipe, Dairy Free Ice Cream, Fairview Heights Nutrition, Ginger Recipe, Healthy Dessert Recipe, Pam Faulkner Recipe, Thrive Coach 12 Recipes.